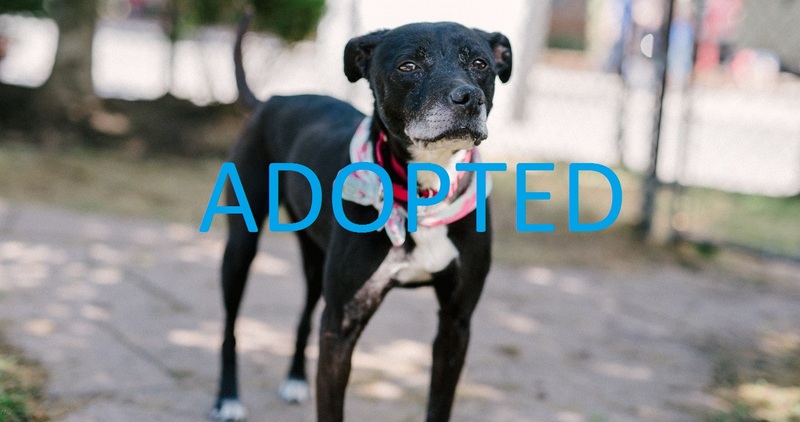 UPDATE: Star has found a great new home and will be having a special summer. 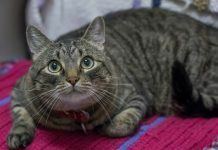 Don’t forget to check our Rescue Me section for more animals looking for great homes. We have an adoptable (and adorable!) pup helping us here, at Movie TV Tech Geeks, kick off the month of June. As many of you know, we have been teaming up with the reputable North Shore Animal League America to raise awareness for pet adoption. 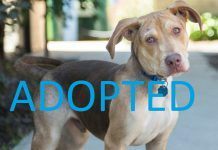 By featuring an adoptable cat or dog every week, we have been able to help find homes for countless animals and shine a light on the many animals that are in need. 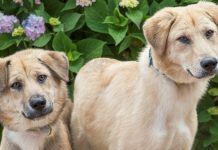 Even if you don’t live in the area, you can still contact North Shore Animal League, and they can guide you to the closest no-kill rescue shelter in your area for a similar dog or even arrange travel arrangements. If you have a friend you think would be interested, pass these articles on as we are working even harder this year to get even more pets adopted than last year. 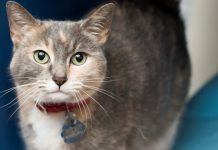 To date, North Shore has helped find homes for over 1,000,000 dogs, cats, puppies, and kittens. 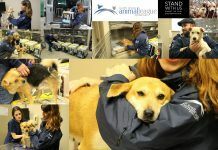 With their main headquarters in Port Washington, New York, North Shore provides crucial resources such as a pet adoption center, a pet health center that offers affordable veterinary care and much more. Now, it is time to give a warm welcome to the “Adopt Me” feature of the week…Star! Star is a striking, 11-year-old, mid-sized Lab/Border Collie mix. She has a mainly black, soft coat of fur, with white markings around her chest, neck, paws and underbelly. Star was fortunate to be rescued by the staff at North Shore Animal League America from a municipal animal shelter down in Georgia. 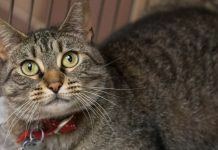 Based on her calm and loving demeanor, Star would likely do best joining a quiet household where she can happily spend her time relaxing and getting as many belly rubs as possible. 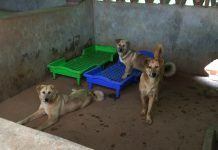 Stemming from her various roots, it is not surprising that Star is a well-behaved, big-hearted dog. 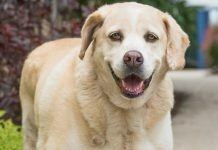 Labs, in particular, are known for being one of the best four-legged companions that us two-legged folks could ask for. In line with Star’s behavior, labs are commonly very easy to train. 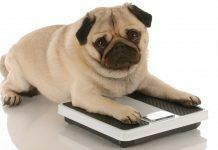 They often show a strong desire to please their owners and will listen to commands if it means they will earn some love and affection (and maybe even a few treats). Being the incredibly special and big-hearted dog she is, Star has won over the hearts of many of the staff members over at North Shore. In order to find her the perfect forever family, North Shore’s staff recommends that Star go to a home with children (if any) over the age of 12. In addition, if potential adopters of Star already have a mellow dog living at home, they are asked to bring him or her to the North Shore campus to have a meet-and-greet with Star before bringing her home. Moreover, Star may be a fairly mellow pup, but she has an especially bright spirit. She will make the perfect companion for relaxing days at home, while also being a great addition to family outings to places like the park or the beach. Star has lots of love and joy to share and is more-than-ready to find the forever family she deserves. To inquire about adopting Star, please e-mail Kennel Manager Rachael Rudman at RachaelR@animalleague.org.